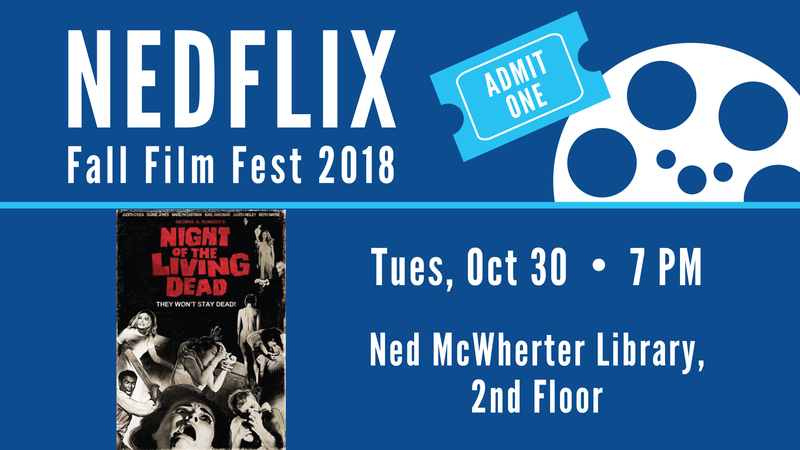 Join us for a NEDFLIX Fall Film Fest showing of Night of the Living Dead! Make your Halloween even spookier with this classic horror movie! Synopsis: A disparate group of individuals takes refuge in an abandoned house when corpses begin to leave the graveyard in search of fresh human bodies to devour. The pragmatic Ben (Duane Jones) does his best to control the situation, but when the reanimated bodies surround the house, the other survivors begin to panic. As any semblance of order within the group begins to dissipate, the zombies start to find ways inside -- and one by one, the living humans become the prey of the deceased ones.